All prices include VAT and post and packaging within the UK. Deliveries further afield will be charged at cost. Watch this space - we are developing a boot to challenge the Hanwag. We hope to have it released for this summer. Warm, waterproof and breathble thanks to the combination of the Hipora insert and PRIMALOFT® insulation. A supersoft lining next to the skin ensures comfort whilst the textured palm and reinforced thumb provide grip and durability. A velcro cuff closure gives a secure, snug fit. 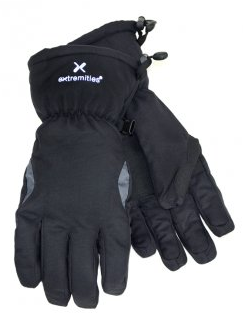 A great multi-purpose windproof glove that has always been a favourite with mountain guides. A WINDSTOPPER® soft shell outer provides greater comfort and flexibility whilst a fleece lining adds warmth. The beautifully supple leather palm provides excellent grip and durability without impairing dexterity. 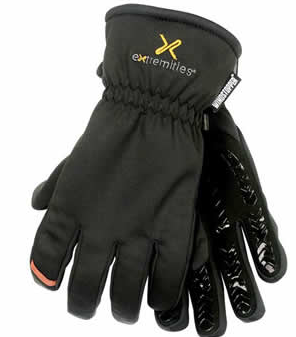 Ideal for rope work and paragliding but also suitable for walking, spring skiing, mountain biking or even gardening. Ideal for those looking for a windproof glove to use on cold, dry days in the depths of winter, the updated Super WIndy now has an improved suede palm with a silicone grip palm and fingers. The use of WINDSTOPPER® cuts out windchill and allows the thick pile fleece lining to work at it's best to keep your hands toasty. In order to maintain dexterity we have used pre-curved fingers and a lighter weight WINDSTOPPER® along the sides of the fingers. This also keeps bulk to a minimum so you can fit them in the nooks and crannies of your sack. 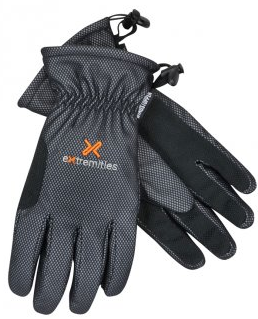 Extremities® warmest sock, for use in hostile mountain environments and expeditions. Ideal for use in plastic or leather boots. 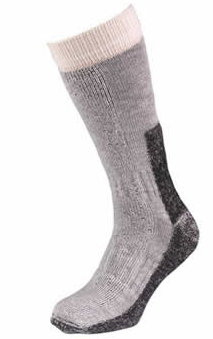 This 'Long' sock extends right up to the knee. Natural wool so only wash with appropriate product. Detergents nearly all contain enzymes which damage woollens.